September is always a great time of year! This week I am feeling the pressure of writing mid-week, as the harvest of a few items will ‘split the week’. For example, some members will have received melons at the end of last week and others at the beginning of this week…there’s no use trying to get the produce to conform—we must go with the flow 🙂 So, you may see, or may have already seen, melons. 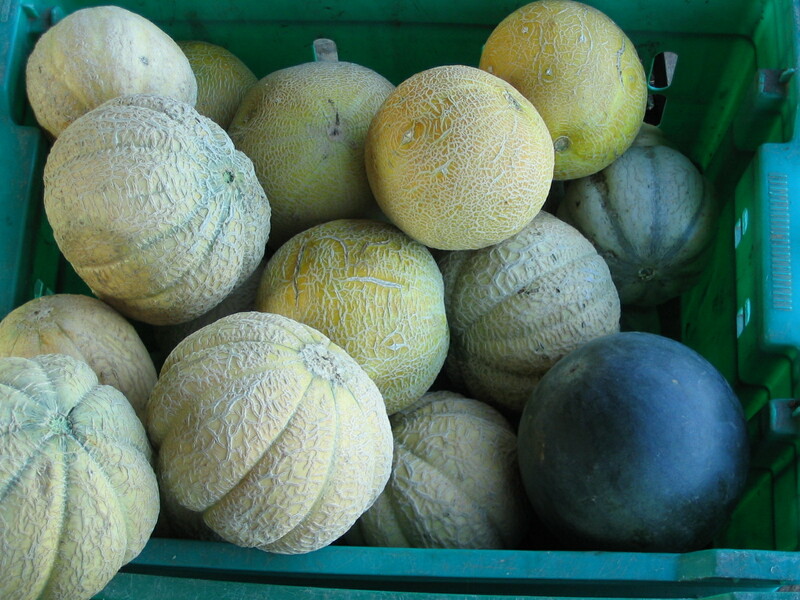 We grow many varieties, mostly cantaloupe/muskmelon, but also Galia, Canary, Butterscotch, Ananas, French Charentais… whatever you receive, it is RIPE, so eat it right away or store in the fridge. And the melons may vary in color inside, by variety, you should just trust me and try it, regardless of whether it is orange, cream, light green, etc. If you are in doubt, please take a picture of your cut melon on facebook or send to my email and I shall tell you what it is. The same goes for apples and odd winter squash. You will continue to see potatoes, apples (including Paula Red, Molly Delicious/Sheep Nose, and the first Cortland), and the first winter squashes. We will not put gourds in your box. That doesn’t mean you can’t use them decoratively, but anything you see is for eating. 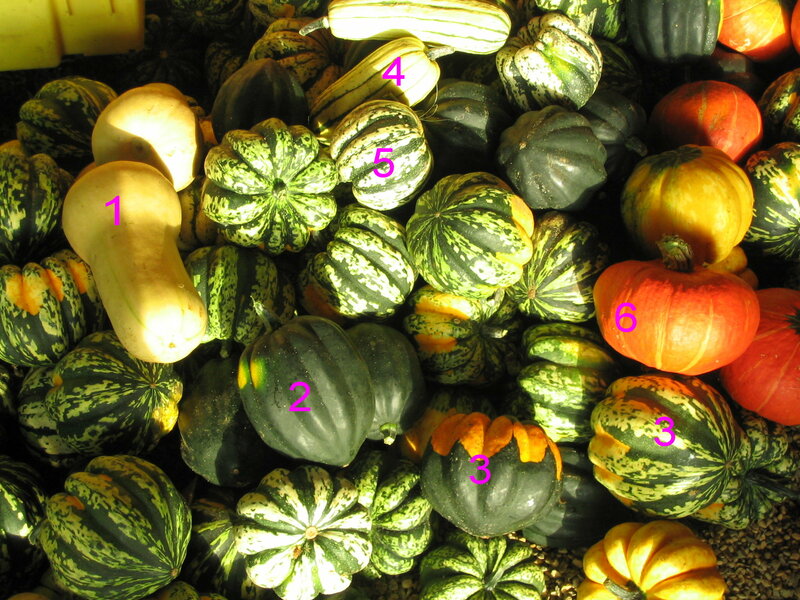 I’ll re-post the winter squash ID on the blog. 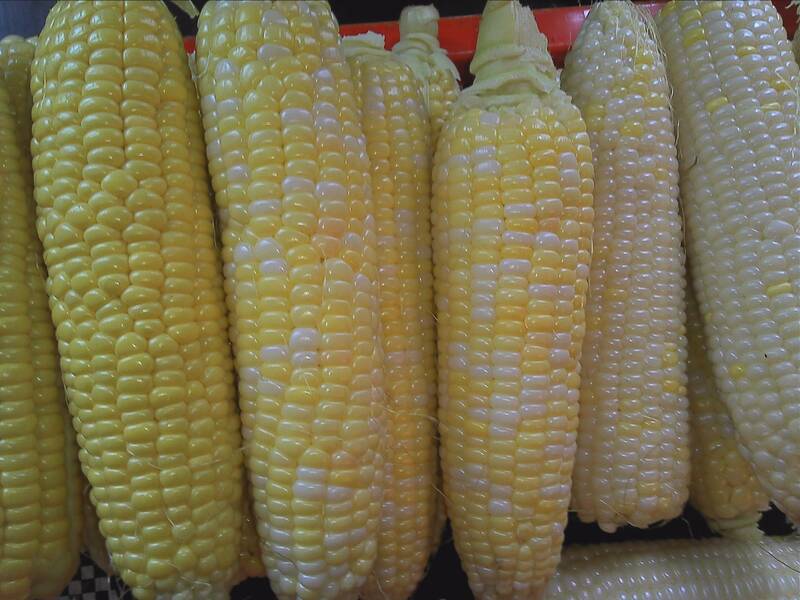 I managed to get beans and corn frozen, can applesauce with the Paula Reds, and can whole and stewed tomatoes. The week has filled up quickly with town and school activities…but the salsa REALLY must get done this week! It is an all day affair: peeling tomatoes, chopping onions, peppers, hot peppers, garlic… then cooking it, bottling it, THEN the processing. It is all worth it. Keep your eye out for gleaning days. I imagine there will be several, as some crops will be done before others. You are bound to see more corn worm than usual…that’s part of the fun of having the hurricane. Naturally, just cut off the offending part and enjoy. If you read the paper, well, let me remind you to believe half of what you see and none of what you hear (Ben Franklin). If you don’t read the paper, well good, you’re probably better off for it. With regards to us, the whole thing is bogus and we will defend ourselves. The whole piece is perfect—’tis good to reaffirm it’s genius. This entry was posted in CSA, Farm Dirt, picture and tagged apples, corn, melon, winter squash. Bookmark the permalink.